The reported killing of 23 Honduran farmers in a dispute with the owners of UN-accredited palm oil plantations in Honduras is forcing the Clean Development Mechanism (CDM) executive board to reconsider its stakeholder consultation processes. In Brussels, the Green MEP Bas Eickhout called the alleged human rights abuses "a disgrace", and told EURACTIV he would be pushing the European Commission to bar carbon credits from the plantations from being traded under the EU's Emissions Trading Scheme (ETS). Several members of the CDM board have been "personally distressed" by the events in Bajo Aguán, northern Honduras, according to the board's chairman, Martin Hession, who said they had "caused us great difficulties." "Plainly, the events that have been described are deplorable," he told EURACTIV. "There is no excuse for them." But because they took place after the CDM's stakeholder consultations had been held, and fell outside the board's primary remit to investigate emissions reductions and environmental impacts, it had been powerless to block project registrations. Another board member told EURACTIV that Aguán was a "hot potato," which struck at the heart of the emissions trading scheme's integrity. "We all regret the situation extremely," he said. In July, a report by an International Fact Finding Mission was presented to the European Parliament's Human Rights Sub-committee, alleging that 23 peasants, one journalist and his partner, had all been murdered in the Bajo Aguán region, between January 2010 and March 2011. The deaths were facilitated by the "direct involvement of private security guards from some of the local companies who are complicit with police and military officials," the report said. In some cases it cited "feigned accidents" in which peasants were run over by security guards working for two named palm oil businessmen. In other cases, the farmers were simply shot, or "disappeared". The Inter-American Commission on Human Rights will be holding a hearing into the report on 24 October, and a delegation of MEPs will be visiting the region between 31 October and 4 November. But because of a three-year gap between the stakeholder consultation process and the biogas project approvals, the CDM board recently ruled that the project had met the criteria of its mandate. "We are not investigators of crimes," a board member told EURACTIV. "We had to take judgements within our rules – however regretful that may be – and there was not much scope for us to refuse the project. All the consultation procedures precisely had been obeyed." Last week, Hession submitted proposals to a CDM board meeting in Quito, Ecuador, addressing the time-lag between project consultations and registrations. The CDM secretariat is also preparing an analysis report for a UN meeting next year, and a report on the CDM's integrity is expected to be published later this month. But carbon credits from the plantations can still be freely traded on the EU ETS, which allows polluters to offset their carbon emissions by nominally clean energy investments. Charities like the Lutheran World Federation are particularly concerned, as they say the situation in Bajo Aguán is deteriorating. 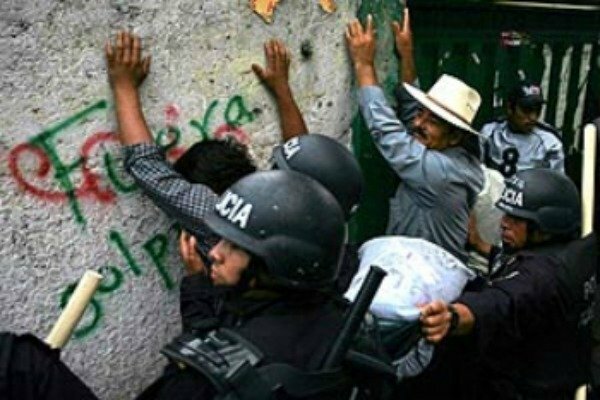 "There are worrying signs that the Honduran government is moving 1200 police officers and military personnel into the area," Toni Sandell a rights worker with Aprodev, a coalition of Christian NGO's told EURACTIV. "That has previously been a source of conflict." Other human rights workers in the region claim linkages between Honduran state forces and the landowner's militias they protect, which are said to have connections to local narco-traffickers. Green MEPs have been moved to demand that Climate Commissioner Connie Hedegaard act now against carbon credits from the Honduran palm oil plantations. "As a big buyer [of carbon credits], as an EU, we can say that these kind of human rights allegations are so fundamental that we will not allow them to be bought," the Green MEP Bas Eickhout told EURACTIV. "We should throw these Honduran projects out of the system," he added, "as we did with the HFC 23s." Martin Hession said that he felt "extreme sympathy" for Eickhout's suggestion but was concerned that the EU might not have optimal resources to effectively investigate rights violations. "Ideally human rights problems need to be dealt with through the appropriate channels of the UN," he told EURACTIV. "But there may well be structures in the EU which could deal with the issue," he said. Eickhout held a meeting on integrity in the carbon market at the European Parliament last week, which he described as a "launch pad" for putting Aguán on the Parliament's agenda and "building up pressure on the Commission to come forward with new proposals". An official with the European Commission's directorate-general for Energy told EURACTIV that including human rights in the criteria for assessing CDM projects would be "very difficult". "You can say that 'human rights' means the UN's Universal Declaration of Human Rights and check every project for compliance, but I think that takes us very far and the practicalities of it would be very difficult," he said. For now, business continues as usual in Aguán and the world's carbon markets, despite the "systemic and grave human rights violations" noted by the International Fact Finding Mission. "If this is really a direct consequence of Europe's climate policies then I would like to send my sincere apologies to the people of Honduras," Bas Eickhout said. "The CDM is supposed to be offering environmental benefits and sustainable development but these kinds of stories are really terrible. I don't want to hear them anymore." In December 2008, an EU Renewable Energy Directive was passed, requiring each member state to meet 10% of its transport fuel needs from renewables, by 2020. The directive also established sustainability criteria for biofuels, obliging the bloc to ensure at least 35% carbon emission savings from the biofuels compared to fossil fuels. That figure rises to 50% as of 2017 and 60% as of 2018. However, concerns have been raised that increased biofuel production causes massive deforestation and has severe implications for food security, as energy crops replace other land uses, in the process of 'indirect land-use change'. In Honduras, the situation is particularly acute because of a recent military coup, traditions of human rights violations, and a long-running land dispute between dispossessed farmers in Bajo Aguán. Human rights groups say that 33 farmers have been killed in the region so far in 2011. This was bound to happen, sooner or later. The ETS scheme as it is now is unsustaianble and inefficient. Human rights assessement of CDM projects in the present situation is like an aspirin to a full developed pneumonia. We need a global new climate change policy now! The World Bank and Interpol produced a report in 2009 on REDD. It predicted that organised crime would muscle in on REDD and other carbon instruments. The problem is a systemic one: CDM (& REDD) were designed by well meaning bureaucrats who as one would imagine don’t think like crooks. What is needed is a system that is more robust and which is from the gound up – not the top down. What would also help is if Europe pulled its collective finger out and reduced its dependence on all types of oil. As the character V in the film of the same name said “if you want to see the real cuplrits – you need only look in a mirror”. This was bound to happen. When will Europe reassess their climate change policy? And first what is the proof that global warming or climate change is mainly due to human emissions of CO2? Until now I have not seen any proof, just a suspiscion of a group of scientists making an “expert judgment” only based on modelling, while at the same time IPCC admits ( and so justifies need for extra research) that they do not understand really the influence of the biggest parameters, the sun, the clouds, the ocean circulation systems, the NAO, etc…! There is no proof. Carbon credits are available for free on line. Since others charge money, those paying for carbon credits must be using that as a cover for bribes or other corrupt activities. The inhabitantsof North and South America emit no NET CO2. So all this brouhaha of the ignorant, socialist cloacal cavities to trade Carbon credits, should not apply to these continents. They are not the source of any supposeed problem. Even if you beleive that elevated CO2 is anything other then wholly benign. If you beleive, as I do that we are repairing an ecological catastrophe in which the Flora of the Planet ate out the atmospheric CO2 levels to a starvation level for the Plant Kingom, it is an absolute saintly exercise for Mankind to restore Planet Earth,just like saving the Whales.